Many people who need care and support get some money from the Local Authority or the NHS to help pay for this. There are laws like the Care Act and the Social Care (Self-Directed Support) Scotland Act that say that everyone should have an assessment to see what support they need. The Local Authority or another funder then decides what they will pay for and how much this will cost. You can choose what support you want and how you want to manage the budget. This choice is called self-directed support (SDS). It includes things like personal budgets, direct payments and Individual Service Funds (ISFs). Click the links to view and download the factsheets. If you would like these in another format, or have any questions about SDS, please get in touch. If you would like support to manage your budget or a family member’s budget, Dosh can be your account manager. You can read more about this in our support section, or contact us directly to tell us what you need. 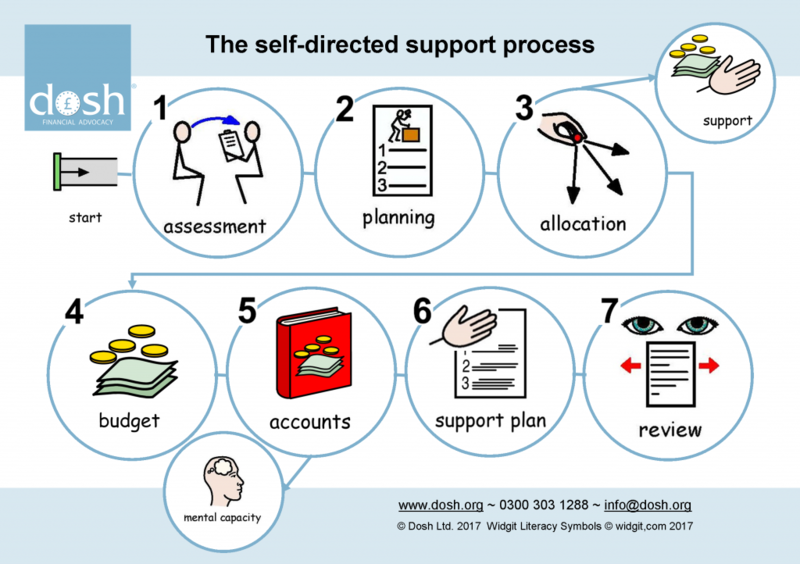 You may be able to get funding for Dosh’s support as part of your budget. If you are a Local Authority or support provider introducing any part of self-directed support, we would love to work with you! Have a look at our partner with us pages to see how we might help with training, consultancy and pilot projects.